That’s the mission of Open Arms of Minnesota. It’s a simple notion: people who are sick should not be without food. Yet every day people in our community with life-threatening illnesses find themselves unable to shop or cook — and, often, without the support network to help. That’s where Open Arms comes in. 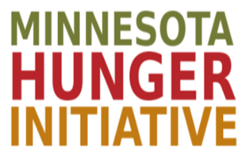 Open Arms of Minnesota is a nonprofit that cooks and delivers free, nutritious meals to people living with life-threatening illnesses in the Twin Cities. They believe that food is medicine, and that their work matters to the health outcomes of their clients. 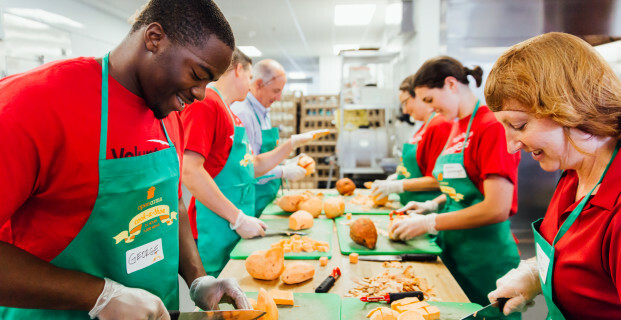 With the help of over 7,300 volunteers, Open Arms will cook and deliver more than 600,000 delicious meals this year to people living with life-threatening illnesses, as well as their caregivers and dependents. Since their founding in 1986, Open Arms has relied on its phenomenal community of donors and volunteers to help nourish and sustain people living with illness in the Twin Cities. They couldn’t do the work they do in their kitchen, on delivery to clients, or at their organic farm project without the support of these individuals. Join them in making a difference in our community! You can support Open Arms by becoming a volunteer or making a donation. They have volunteer opportunities in the kitchen, on delivery, at their urban farms, and in their office. Learn more and get started here.